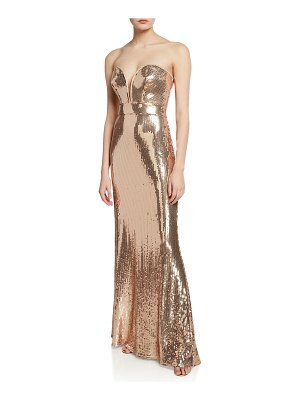 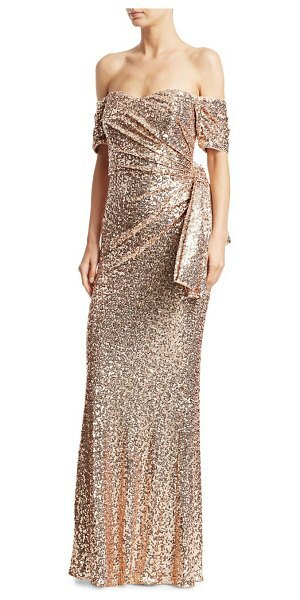 Shimmery sequins accentuate this dazzling strapless gown's ruched bow detail to garner a truly glamorous look. 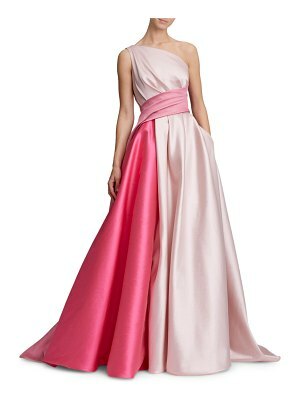 Sweetheart neckline Concealed back zip Ruched bow at the waist Ruffled hem Polyester lining Nylon Spot clean Imported SIZE & FIT Column silhouette About 61" from shoulder to hem Model shown is 5'10" (177cm) wearing US size 4. 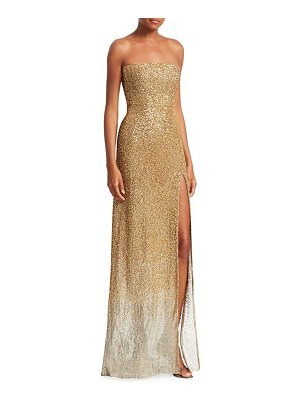 Dress Collectio - Badgley Mischka. 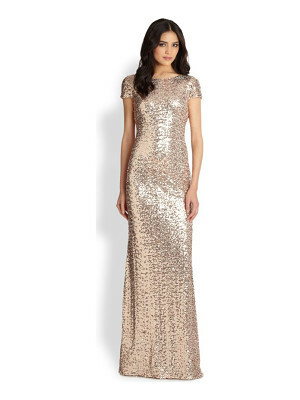 Badgley Mischka. 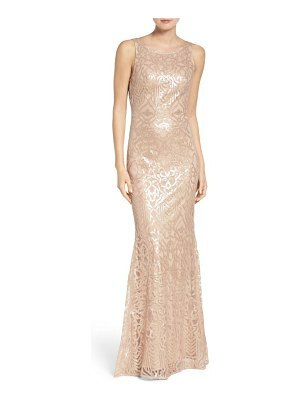 Color: Blush. 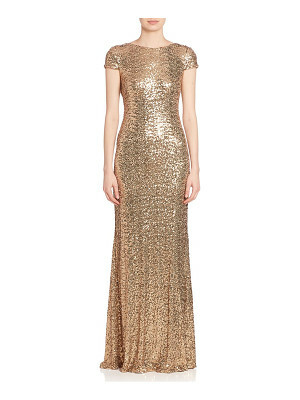 Size: 4.